Estes Park Skiing includes outstanding cross-country trails in Rocky Mountain National Park, and within short driving distance you have access to several of the best downhill skiing resorts in Colorado. 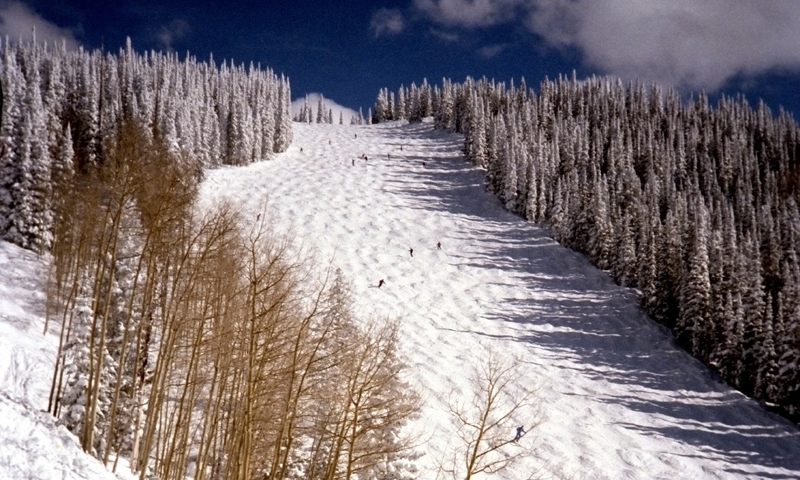 Eldora Mountain Resort has ski slopes for the whole family, and all levels of ability. This is the closest ski mountain to Estes Park. Known for: Closest ski resort to Boulder and Denver, diverse terrain, cross-country center, superior children’s Snow Sports school. Location: Go south on CO-7 (St Vrain Ave). Turn right on CO-72. In Nederland, continue into the traffic circle and take the 1st exit onto North Bridge St. Continue onto CO-119. Turn right on Eldora Rd. Location: Go west on US 36 through the Beaver Meadows entrance of Rocky Mountain National Park. Continue onto US 34 all the way to Granby. Go east (left) on US 40. Turn left on Village Road. Location: Go west on US 36 through the Beaver Meadows entrance of Rocky Mountain National Park. Continue onto US 34 all the way to Granby. Go east (left) on US 40. Turn right on Old Town Drive.